I remember very clearly when the tides of “GIMME!” turned against my little family. My oldest was in third grade, and I had a five-year-old a 1-year-old. We started off Christmas break from school by writing our wish lists to Santa. What had happened to the peaceful, merry Christmas break I had envisioned?! My kids were turning into GIMME monsters and I knew I needed to act fast. 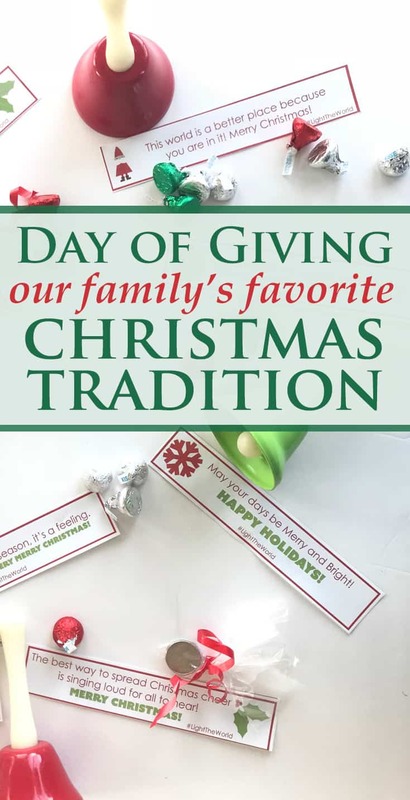 That night I prayed and thought of how to focus the hearts of my littles outward and came up with what has become one of our favorite holiday traditions…our Day of Giving. What is the Day of Giving? Our Day of Giving is a day where we focus on giving to others. We choose one day during Christmas Break and do a little bit of prep work the day before. My kids are still on the younger side (13, 10, 6, 4, and 2) so the activities we do might not be as appealing for an older family. The beauty of this tradition is that you can change it any way you want in order to better fit your children, your time and your budget. The day before our Day of Giving we do a massive treasure search for coins in our house (the kids love this! 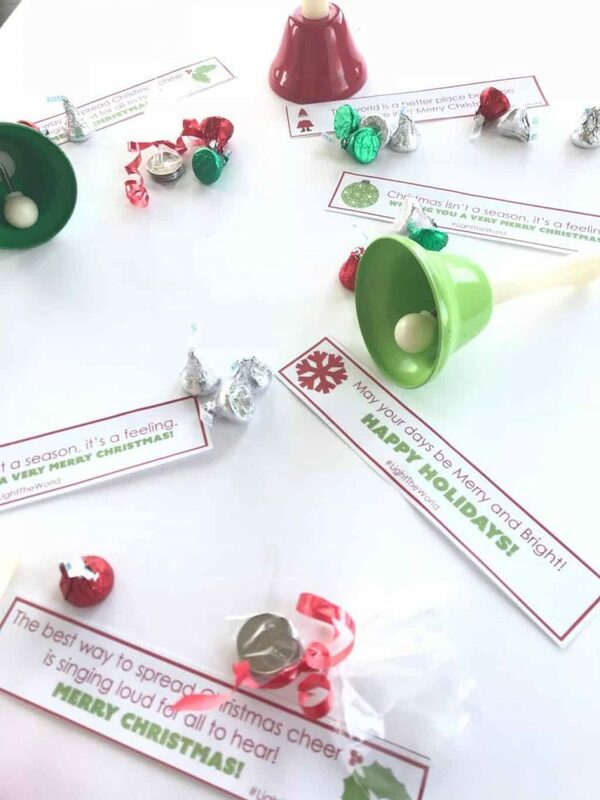 ), print off and cut out messages (you can get a free printable with some messages to do your own Day of Giving), purchase and put candy kisses in bowls, gather musical instruments (bells and shakers), purchase either insulated hot chocolate cups or plan to buy hot chocolate from a store. Fill in the form below to get the free printable messages. You’ll be added to both the Wondermom Wannabe and the Gifty Girl mailing lists. We hate spam as much as you do. So we will never share your contact information and you can unsubscribe from either list at any time. Success! Now check your email to confirm your subscription and get your download. The day of our Day of Giving we get dressed and say a prayer that we can be guided to people who need some Holiday Cheer. 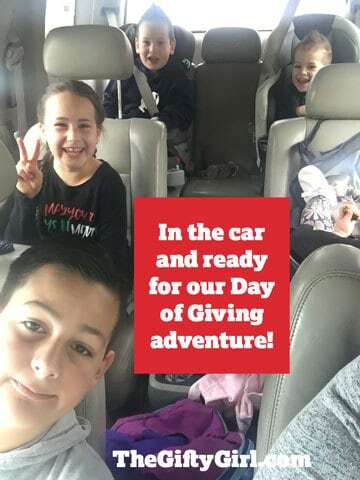 Then we load up and set out on a Giving Day adventure! Keep it Simple: I want to emphasize that our Day of Giving is not super complicated or hard to do. Parents can get so overwhelmed with holiday To-Dos (I’m looking at YOU Elf on a shelf!) that we start feeling grumpy and stretched too thin. The Day of Giving should NOT be a cause of stress! Of course you could scale it up to be much more organized and elaborate…but I will tell you that the VERY simple random acts of kindness work. You can print off these free printable tags. OPT-IN HERE. Now all you need to do is buy some candy and gather some coins and you are good to go! But Be Prepared: It goes so much smoother if you have everything ready the day before so you can get up and go! Make sure you have clean, warm clothes for the kids, tags that have been cut out, a bowl of candy, plastic bags with coins in them (we do a dollar in each), tape, hot chocolate and insulated cups, and cash if you want to pay for people behind you in fast food lines. Be Adaptable: Life happens and sometimes the best laid plans go awry. 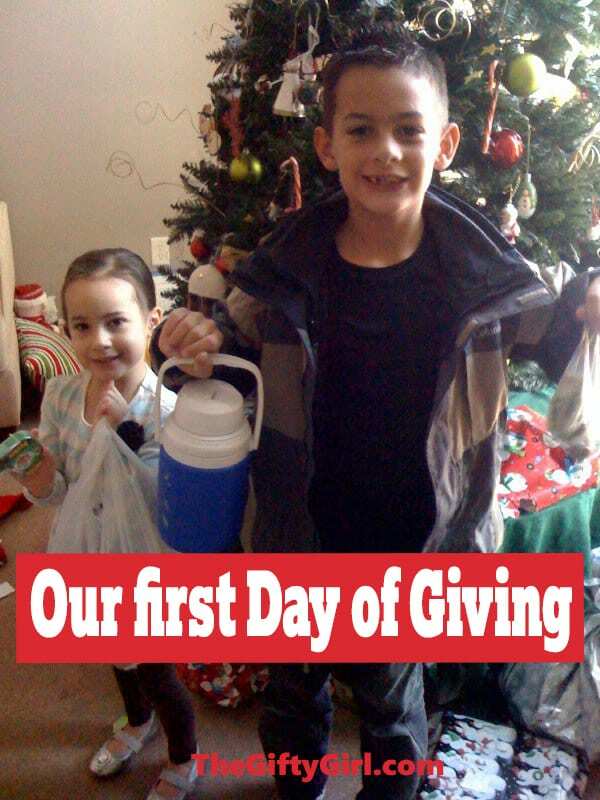 One Day of Giving we woke up with three out of four kids sniffling and sneezing. Obviously hospital waiting rooms were out of the question. I didn’t want to cancel all of our planning so we did our entire Day of Giving FROM OUR CAR. It was actually really hilarious. The non-sick kid did all of the handing out of things through our window so as to minimize germ sharing. First, we caroled at stoplights by rolling down our windows and ringing bells and singing (a whole truck of construction workers unrolled their windows and sang with us!) Then we went through all of the drive-throughs in our town and caroled at the ordering menu and gave the workers candy (they loved that!). We also paid for some cars behind us in drive through lines. Make it as long or a short as you want: Sometimes our Day of Giving lasts only a couple of hours. Other years we’ve gone into town for part of the day and then came home to make dinner or treats for family or neighbors. There are NO RULES just do what you are able to! Involve the Whole Family: It might be tempting to leave the younger kids at home so you can get more done, but there are definite blessings to involving all of your kids. I love watching my older kids lead my younger kids in this day of kindness. Kid of all ages can be involved! When I have tiny babies they hold a jingle bell to shake while we sing. My little walkers can carry the candy bowl and offer it to people. My older kids carry tape and coins and put them up on the vending machines. And ALL of us spread Christmas cheer by singing loud for all to hear. Do we sound like a beautiful choir? Not really, but our singing ALWAYS makes people smile. Have Fun! : This goes along with tip #1 but the years where I make a real effort to focus on my kids and what we are doing instead of worrying about the 999 things on my Holiday To-Do list, I see a big difference in how much fun I have, which then trickles down to my kids. Make sure YOU enjoy the process. Take Pictures: We love to look back at all of our Days of Giving and remember the fun we had. 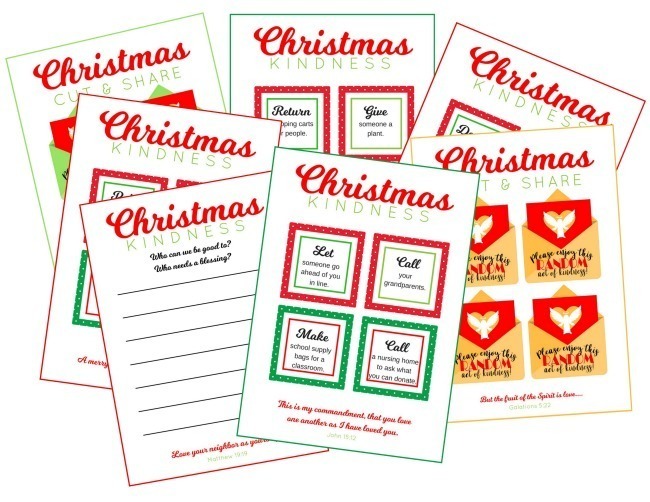 I hope this inspires your family to start your own random acts of kindness holiday tradition. Our Day of Giving is one my kids and I enjoy every year and one I hope they will remember forever! 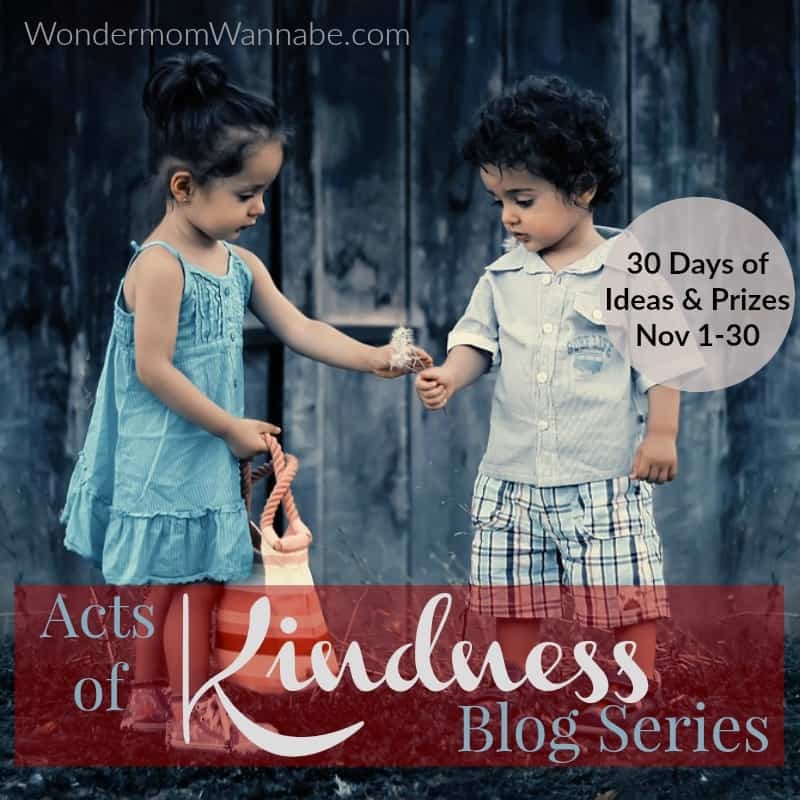 This post is day 19 in a 30-day Random Acts of Kindness series. Each day in November I’ll be publishing a new post with the help of some amazing bloggers to inspire your random acts of kindness. In addition to new ideas, we’ll also be giving away some great prizes to spread some kindness ourselves. Click the image below and bookmark the page so you can follow along all month. Stephanie has always been the girl that my family and friends call when they need a gift idea. She loves stirring up her creative juices to come up with “out-of-the-box” gift ideas. She shares her ideas at TheGiftyGirl.com.